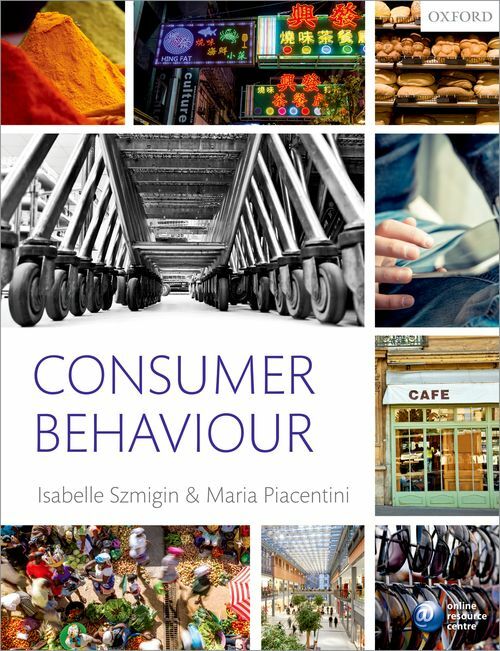 Presenting a brand new approach to teaching consumer behaviour, Szmigin and Piacentini move beyond traditional psychological learning to acknowledge more holistic perspectives of consumer behaviour and incorporate new areas of research, such as Consumer Culture Theory, which are enhancing our understanding of this fascinating subject. The latest behavioural, psychological and sociological approaches are presented alongside emerging techniques, such as neuromarketing, and practices used by businesses such as tracking consumer panel data, with their application to marketing explicitly drawn out. Theory is firmly set in context for students through extensive use of international examples and extended cases on topics such as repertoire shopping in China, lifestyles of Indian consumers, and learning about brands through Havaianas in Brazil. Each chapter includes Consumer Insights covering topics such as social media marketing in the Netherlands, repositioning Lucozade in the UK, and finding the right celebrity endorser. These features bring together the themes discussed and encourage students to engage with the material on a more practical level. Central to the book is the recognition of how businesses and government are likely to use knowledge of these theories and techniques in marketing strategies and business decision making. Each chapter includes a Practitioner Insight from a professional working in marketing, advertising, government or a charity, including Dubit, Thinkbox and Age UK to provide real world views on the topics being discussed and the possible future direction of these areas. The authors acknowledge consumer behaviour as a research discipline. To reflect this, Research Insights features throughout each chapter include links to seminal and contemporary papers to present students with the opportunity to take their learning further. The accompanying Online Resource Centre provides superior ready-to-use support for both students and lecturers: For students: Author blog, responding to changes within the subject and supporting the currency of the textbook; Web links illustrating consumer behaviour in practice including examples from print, video and web; Multiple choice questions with instant feedback; Links to seminal articles as highlighted in the Research Insights feature; Web exercises to encourage students to test their knowledge and apply their learning; Flashcard glossary to test understanding of key terms. For lecturers: Comprehensive customizable PowerPoint slides; Learning activities (including, more detailed workshop-based activities, shorter lecture-based in-class exercises and suggestions for assessment approaches) An instructor's manual (containing guidance on how to use the case studies and Practitioner Insights in class, indicative answers, and some additional questions). PART 4 WHERE ARE WE GOING?